And so we find ourselves neck deep in the holiday season. The incessant Christmas music, the lights that seem to get more and more out of control every year and the family get togethers that are customary for many of us. So many things are happening this time of year that it can be difficult to keep up. The last thing most people are thinking about is their septic system, but with the way the weather is projected to be this winter, it may just be something to consider with the start of the new year. The number one maintenance issue with septic systems, is the fact that eventually they will need to be cleaned and pumped. Septic systems work like this: The waste water is expelled from the home into a sewer line. On homes with municipal sewer hookups, the waste material will be flushed down to a central facility that consolidates all of the waste from the area. At this facility, the water is separated from the waste material and eventually treated water is released back into circulation. Of course there are much more complex systems that go along with the process, but that is basically how it works. The municipal water treatment plant is nothing more than a large scale septic system. Your run-of-the-mill backyard septic system consists of a vault and a drain field. 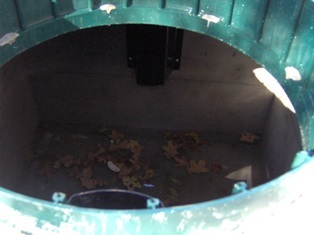 Its simplicity lies in the fact that the vault separates the waste and the drain field sends the water back in circulation. 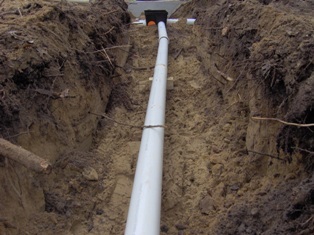 On a backyard septic system, the water will exit the home and flow directly into the tank. This is where the “magic” happens. The solid waste will fall to the bottom and begin to decay through a biological process that breaks down the waste. The wastewater is expelled through a series of tubes that lead to the drain field. The drain field is generally a material that will allow the waste water to percolate down into the ground and back to the earth. Sounds great right? Of course it is, septic tanks are a solid, economical, and environmentally friendly way to treat household waste water. They operate on their own biological processes and return valuable nutrients to the ground, it is easy to spot a drain field due to the abundance of thick green grass. It is not all roses when you have a septic system however, and maintenance is an issue that needs to be addressed. For instance, if you do not pay attention to what goes down your drain you could end up with a septic emergency. Common household chemicals that are seemingly harmless can throw of the biological process and cause solid waste to accumulate much faster than it ordinarily would. Certain things, like grease, can make their way into the drain field pipes and clog the outlets, causing a backup and a huge mess. What is the moral of this extended diatribe of septic tank lore and legend? Most of us with septic systems have them pumped every three years or so but, most of us cannot tell you from memory when the last time we had the procedure done. This can lead to issues like we listed above which is why Willey & Co. offers septic system inspections. That way, if you do not need your system pumped you are not wasting the money to have it done. If in doubt however, get it pumped and save yourself a massive headache. Let’s say you are one of those people who is on top of their septic system maintenance with regular pumping and a top performing system. Recent technologies have made the possibility of a more efficient use of wastewater a possibility. Right now is the best time to upgrade your septic system for the new year. For instance, you can choose an anaerobic system which is very efficient at separating waste or install a drain field that can be utilized for watering your lawn. You could even consider a nitrogen reduction unit or peat system for an alternative to traditional septic systems. 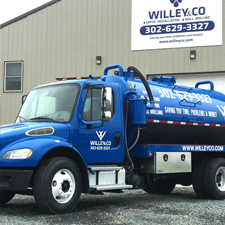 If this sounds like a project you would like to complete in 2018, please give your local septic system specialists, Willey & Co., a call, we look forward to hearing from you and thank you for your business.